This new bag is 12" X 12" with a 5" bottom gusset. It is fun to use the hot new fabrics by young designers. The sample is from Laura Gunn's poppy collection by Michael Miller Fabrics. The fabric kit with pattern, fabrics and buttons is available in the options. 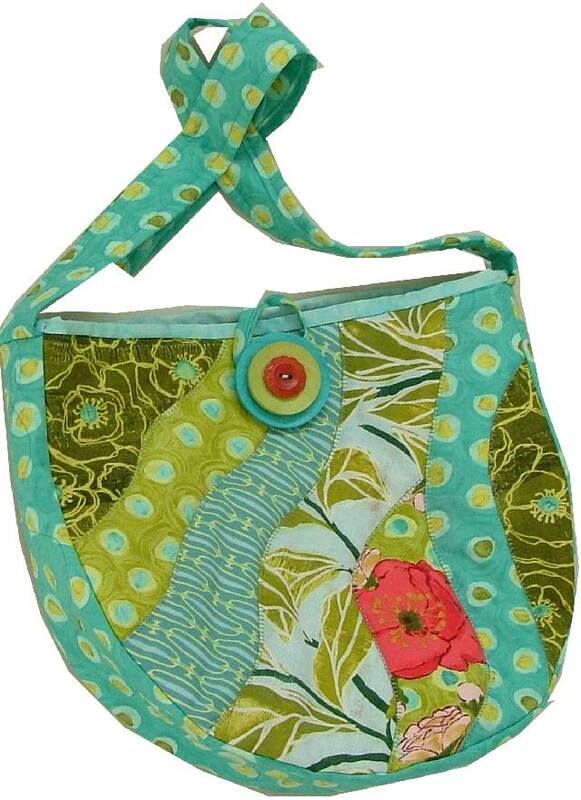 This 12" appilqued bag is cute when done in contemporary fabrics.